Our range of products include braking resistors and high pressure aluminum hose. DCR series resistor are capable of with standing high pulse loads, at the same time they get cooled faster compared to conventional resistors and are best suitable for dynamic braking. These resistors are available in five different power ratings. 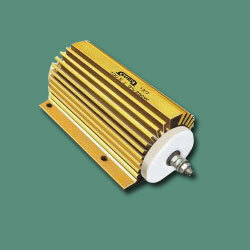 DCR resistors are also available with standard enclosure upto 4500W, where multiple resistor are connected in series or paralled. DCR series resistor are manufactured by winding resistance wire coil of different resistive material on ceramic part supported by metal strip, ends of resistance wire are screwed firmly to end clamps. 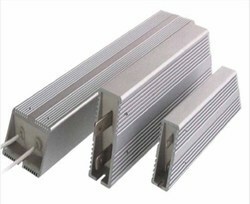 These resistor are available individually or assembled in enclosure. Enclosures are yellow or white zinc plated. We offer wide range of High Pressure Aluminum Hose, these aluminum hoses are offered by us are available in a wide ampere range. Aluminum Hose made from special grade aluminium material with wrinkle free bending and special grade rubber material for carrying high pressure. Looking for Aluminum Hose ?